It is that time of the year again - filming season - where here in Toronto we assume our role of the Generic Metropolis. But this year there is inordinate hubbub, as director David Ayer enters the superhero movie fray with the Suicide Squad and this summer at least, we are Midway City. This is where we eagerly wait, hoping to see the Toronto we know, set in what is most definitely not supposed to be Toronto. Think Jennifer Lopez and Jim Caviezel in Angel Eyes, set in Chicago, where the spectre of Sam the Record man is overt, unmissable and oddly dissonant for us who recognized it (but satisfying!). In this case, it is the particular glee of potentially seeing 401 Games set against the remains of a Yonge street plane wreckage (hey you never know). 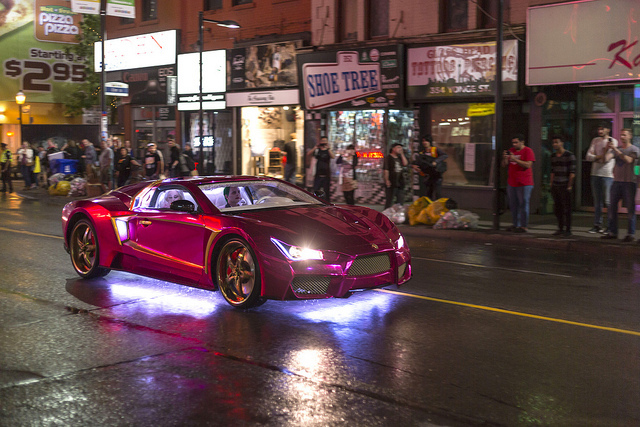 There was also the downed helicopter at Bay and Wellington this past weekend and earlier tonight a chase scene on Yonge and likely much more coming as filming is slated to continue until August. The Suicide Squad follows a rogues gallery of DC universe villains, super-villains and the gradient in-between and includes amongst many, Deadshot (Will Smith), Harley Quinn (Margot Robbie) and the Joker (Jared Leto), who have been press ganged into service by the US government for curtailed prison sentences. There are other villains, but like the comics, we can only assume them to be low tier fodder for necessary deaths. 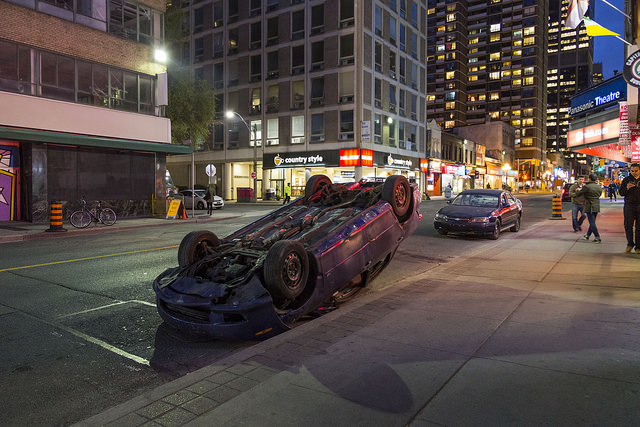 And while the long list of stars makes for great local news here in Toronto, one can only imagine how a comic that took pains to examine the motivations of its many antiheroes will manage to do so in the constraints of a single film. But looming over this is Jared Leto, playing the latest incarnation of the Joker, his interpretation much maligned and maybe unfairly so. There will be the usual comic book puritanism for sure, and the hahahahaha tattoos could probably use some sober second thought, but admittedly there is something refreshing in a Joker that doesn’t have the overt fear-of-the-feminized-male aspect that it has historically had. For the time being we really should be grateful for the novelty. In any case, with a scheduled release for late next summer we have a long time to wait.